It is so fun and exciting to get new kayaks. They are so colorful and hold so much potential for FUN. 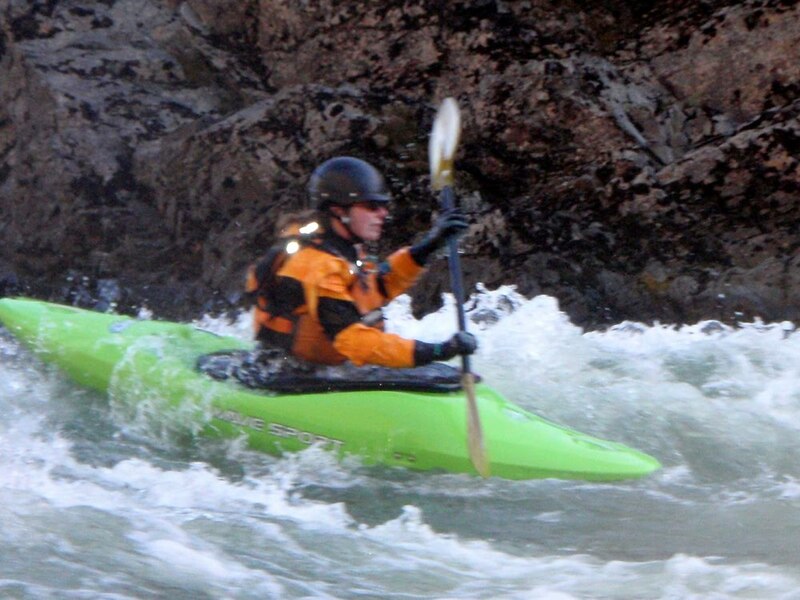 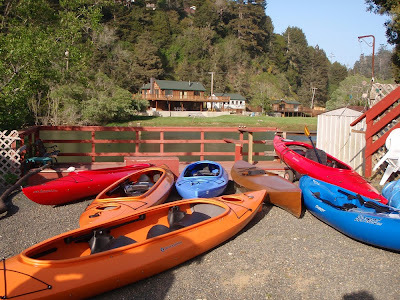 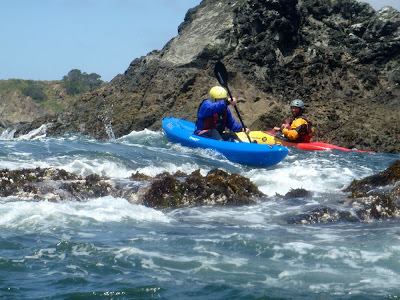 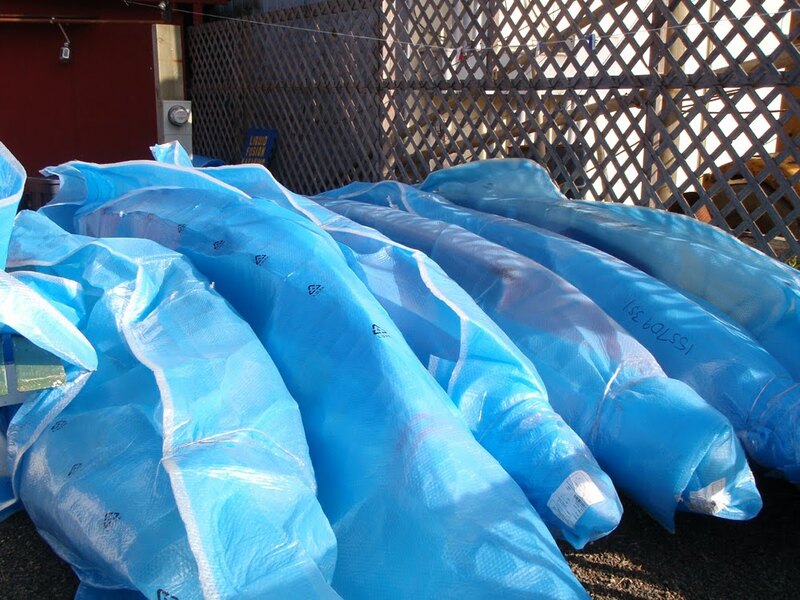 Most of the kayaks that we ordered this year are for rentals on Fort Bragg's Noyo River and our new Tracks to Kayaks adventure. 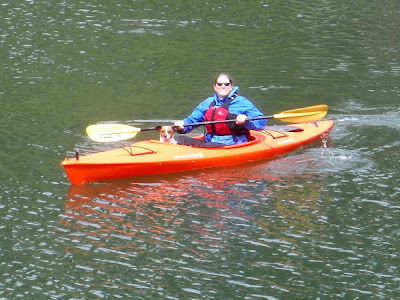 and I got a Wavesport Diesel for exploring and playing on whitewater rivers. 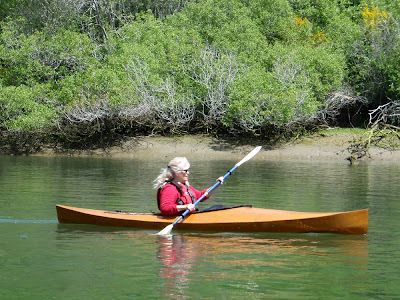 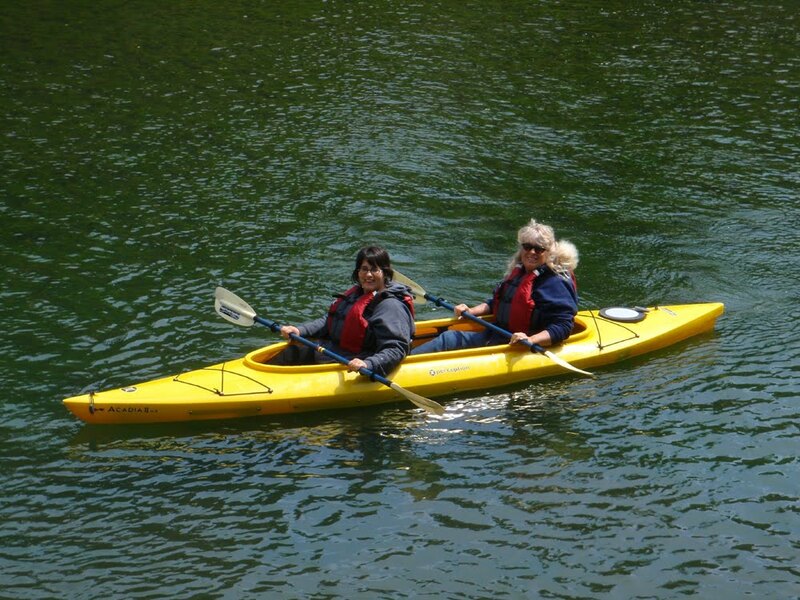 Jeff and I have been enjoying sharing the wooden kayak that we built. 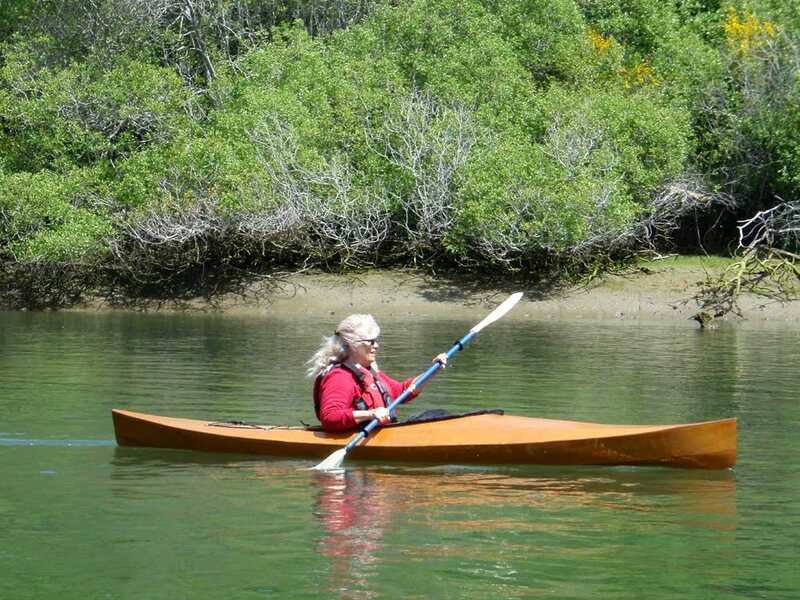 Everyone has loved how smooth and easily it paddles.